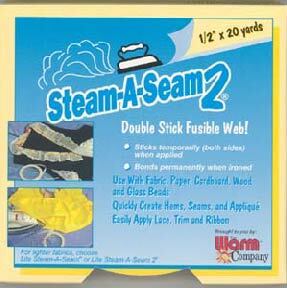 Double stick fusible tape with a peel-off backing. This allows you to position and reposition fabrics before finally ironing. Once fused, the hold is permanent and washable.